A top official at the Ministry of Foreign Affairs has been accused of sexually harassing at least three female staff members. The story was leaked by an anonymous Twitter account and was followed by mass public outrage. The Twitter user wrote that the top official sexually harassed three female staff at the Ministry of Foreign Affairs on multiple occasions. The user wrote that the cases were submitted to the sexual harassment committee of the Ministry, which provided assurances to the three female staff that the cases have been filed with relevant authorities and will be investigated in April, 2018. The sexual harassment committee has been accused of failing to investigate the cases and even engaging in victim blaming. Ministry of Foreign Affairs was not immediately available for comment regarding the allegations. Tweets of the allegations have been liked and retweeted by a large number of Ministry staff, including some of its senior staff. Former staff of the Ministry of Foreign Affairs have also taken to social media to express their concern over the allegations. Former Minister of Foreign Affairs, Dunya Maumoon tweeted that she was extremely concerned and disturbed by the allegations. She said that such abuse of power in any institution needs to be immediately investigated. And called for an immediate investigation to establish the veracity of the allegations. “Immediate investigation is necessary to establish the veracity of the claims. The victims should be protected and perpetrators brought to justice. Our society should move beyond sweeping such serious issues under the carpet!” wrote Dunya. 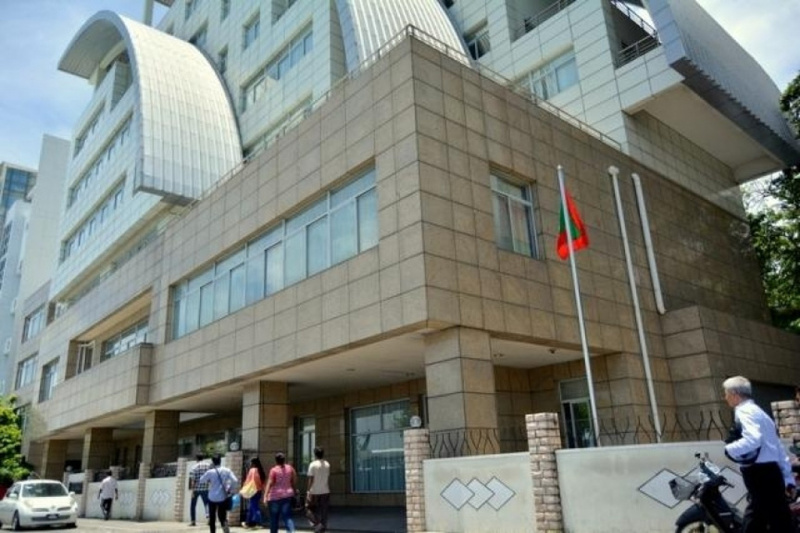 Aishath Liusha Zahir, who has worked at several senior posts at the Ministry of Foreign Affairs, said the allegations of sexual harassment against the top official is true. “All within the diplomatic corp was aware but a handful stood up for the victims. Higher authorities shut it down n victims named n shamed. People who stood up also named and shamed as holding ulterior motive,” wrote Liusha. All within the diplomatic corp was aware but a handful stood up for the victims. Higher authorities shut it down n victims named n shamed. Pple who stood up also named and shamed as holding ulterior motive.